MarcColoma posted a topic in Help!?! Hello! We are Crashsite Development. Hello there everybody! We are Crashsite Development. A small team out of the US/Canada who create scenery and more (check our discord https://discord.gg/6nxbV5C We are all X-Plane users and are currently developing PHOG and KDEN. Our other sceneries are KRAL and KMYL. We will be posting our Sceneries HERE and on our Website. 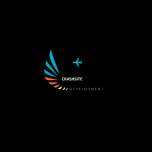 http://crashsitedevelopment.us/CrashsiteHome.php (We apologize about loading speed fam and possibly down) We really appreciate the X-Plane community. See ya! PhotoSceneryX - Fly in the REAL World! Put photos into X-Plane 8 and up! Hello fellow X-Plane pilots! Here is my HD Unique Clouds Variety Pack available here https://sellfy.com/p/qhBx/ for just $10 USD These are a set of 8 HD double default resolution (unique smoke textures included for all 8 at standard res), as well as standard resolution replacements to the the default cloud textures for X-Plane 10/11 Flight Simulator. They are for the budget oriented pilot in mind. They were procedurally generated, and meticulously blended using high-end CGI software used in feature films, not a single photo was used. I tried to get them to be complimentary in their appearance as well as unique in their variety. They are zipped in a format with the folder structure of the default location for cloud textures in your X-Plane directory so that you can easily drop them in your MODS folder if you use JSGME (a generic mod enabler). That method is recommended if you want to be able to easily switch them out each time you fly, as well as REMOVE THEM BEFORE AN UPDATE Also much thanks to Laminar Research! The new default clouds provide such an excellent benchmark for this work. Teaser video below. I think is due to do a recap on our scenery projects status to inform X-Plane Community. Our scenery developments are divided in two categories. Our own developments and developments that we are in partnership with FSX/P3D counterparts, to convert their sceneries in a professional manner to X-Plane. Few things before dive into details. For our scenery developments we have one scope; to provide the best possible quality in X-Plane. That’s all. Time/money/competition, etc are secondary considerations. Our promise is that when you take money out of your wallet to buy our products, you will never feel… “what a waste”! Product quality, prices, and support will always be top notch. And of course, always up-to-date with the latest X-Plane technological advantages! But, do not expect to give you any ETA! One more thing. From now on, all of our developments will be X-Plane 11 compatible only. There are big differences (PBR materials, ground traffic, and many other features) that will require 2 parallel developments, a.k.a. 2 times the work. Let’s start… Our Developments: Lately we have changed the way we are working, to streamline it for faster development times. So far the results are quite encouraging! This way we can work in parallel developments more efficient! KORD Chicago International: This is one of the biggest and more complex airports in the world! So the undertaking is huge, and our previous method of working was not good. A lot of delays…inefficient!Every airport has its own challenges, Chicago has a lot! One of the most iconic landmarks in the airport are the basins. Also there are 2 taxiway overpasses, and a few other mesh related features that are missing from X-Plane. We made the decision to provide our own meshes, in which we have built all that stuff! Problem #1: KORD sits the boundary of 2 dsf tiles! And cuts in the middle one of the basins! But we love (!) challenges, so we have made it!After the delays, we have restarted the project in full steam. Mesh has been re-edited, orthophotos reworked. We have the majority of the buildings done. We need to finish ground textures, lighting, markings, ATC/Taxi routes, custom jetways with animations, gates to be updated with Airlines’ codes. Most of them have been done to certain point, not finished yet. Project “T”: A very iconic North American airport, on an island, near a city’s skyline! Completion about 30%. Will be announced shortly! Project “L”: US West Coast airport in a Metropolitan Area. Completion about 10%. Will be announced later. Developments under Partnership: LatinVFR: As you know, two weeks ago we have released the first product of our cooperation, KSAN San Diego Intl Airport. This is a “driver” project, and since is going very well, most probable this partnership will continue, but at this time, we have not anything solid. Of course, announcement will come, as soon as we have any development. 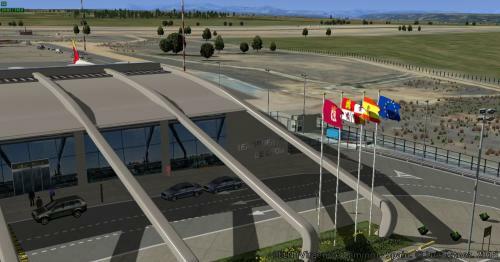 LatinWings: We have already released (by Aerosoft) the first of our product, a small Spanish airport, Sorria-Garray, and we have finished the development of another small one, Requena, which hopefully will be released soon.Currently we have under development, and probably will be the next release, LEVC Valencia International Airport. This is going to be the first, only X-Plane 11, product. Completion is about 70%. As you notice our agenda is full! And on top of that add our planes developments! That’s for another article! Do not expect to give you any ETA, but we expect all the projects above that are under development to be released within 2017! Fingers crossed! Can I modify how the autogen responds in a spesific area? keem85 posted a topic in Help!?! Hi guus I'm relatively new to X-Plane, so please bear with me :).. I downloaded Norway VFR addon, it corrects the roads and buildings, so most things are correctly placed.. But when I visit my hometown Drammen, the buildings are wrongly placed at spesific areas.. I want to change that manually.. I know I can drop a few buildings where I want it via the OverlayEditor, but I don't want to mess with that.. I want to make the autogen behave better at that area.. Make the autogen pop up the correct high-rise buildings where they belong.. Also, I want to fix a couple of lame junctions. Is it possible to "edit the autogen"? Please, rate and/or comment it. Thanks so much. Por favor, evalúe y/o coméntelo. Muchas gracias. *************************************************************************************************** [ENGLISH] The scenery needs checked "Runways follow terrain contours" option and HDR activated for a correct ilumination. This scenery don't need any aditional library but... Some objects used in this scenery are from: - Flags of the world (link broken). - 3D people library (link broken). - OpenSceneryX ( http://www.opensceneryx.com/ ). - Autogate ( http://marginal.org.uk/x-planescenery/plugins.html ). - C101 from freeware LESA - Matacan - Salamanca Airport by JRollon. Thanks to my family and to Mr. Antón García and Mr. Jorge Álvarez for his selfless collaboration in this project. Thank you very much to all PUE, in general, for their tests and support. (c) Luis Mtnez. 2016 - Freeware. Forbiden their sale or rent. (c) Plus Ultra Virtual Airlines Virtual ( http://www.plusultrava.es/ ). (c) Pilotos Virtuales España ( http://www.pilotosvirtuales.es/ ). If changes are made on scenery, please, report. *************************************************************************************************** [ESPAÑOL] El escenario necesita la opción "Pistas siguen contornos del terreno" y HDR activado para una correcta iluminación. Éste escenario no necesita ninguna librería adicional, pero... Algunos objetos usados en él, son de: - Flags of the world (enlace roto). - 3D people library (enlace roto). - OpenSceneryX ( http://www.opensceneryx.com/ ). - Autogate ( http://marginal.org.uk/x-planescenery/plugins.html ). - C101 del aeropuerto gratuito LESA - Matacan - Salamanca de JRollon. Agradecimientos a mi familia así como a D. Antón Egea y D. Jorge Álvarez por su colaboración desinteresada en este proyecto. Muchas gracias a todos los PUE, en general, por sus tests y apoyo. (c) Luis Mtnez. 2016 - Freeware. Prohibida su venta o alquiler. (c) Plus Ultra Virtual Airlines Virtual ( http://www.plusultrava.es/ ). (c) Pilotos Virtuales España ( http://www.pilotosvirtuales.es/ ). Si se hacen modificaciones en el escenario, por favor, comuníquelo. So I was on the fence about buying scenery from Dai-Media. I have been looking for some high quality pay ware scenery that I can fly the IXEG 737 into. I found Dai-Media about a year ago, but I just wasn't very convinced by the videos. I was wrong, the quality of their scenery is amazing and the video don't do the actual scenery justice. I decided to give their LRBS a try, I liked it so much I went back and got LEBL. This development team is doing an awesome job with XP10 scenery development. I'm now standing by for their next release. Day one buy for sure! Now if we can convince them to bring their talent to some North American and South American airports. That would be fantastic! Ok, now that we all have been flying our 737 classic, by far the best simulation in all of flight sim in my opinion. What do you think our new favorite developers at IXEG have in store next? Do you think it's too soon to start the what's next question? This aircraft is the first time that we have had a chance to really see what's possible on the XPX platform. That said, I'm now very curious to see what else IXEG can pull off on this platform. Do you think IXEG will follow the path of Level-D, releasing the one hit wonder B767-300ER, or do you think they can be our version of PMDG for XPX? I hope IXEG take some time to enjoy the success of this launch and continue to respond to bug reports for the 737. But I hope sometime in the future we hear plans of what they have in store for us next. Can you imagine a IXEG 777 or 787? X-Plane would dominate if they did that. FlyTampa, FSDT, Flightbeam Studio Taxi2Gate wake up! The future of flight simulation is here on X-Plane. It's got to be a bummer missing out on all those sales when the 737 was released. Heck I bought 3 new sceneries on release day, but none from these developers because they are stuck in the 32bit past. I have no doubt that PMDG have paid attention to the successful launch of this aircraft, and I'm very curious to see what they can do with the platform as well. For now IXEG, you have the floor. Our ears are open and we are on the edge of our seats. You have our full attention. I think Laminar Research has a done a good job with their scenery gateway idea. For years users have complained about the lack of scenery in X-Plane. Giving the community the tools to create and populate the world with airports was genius. Often simmers will point out how one of the downfalls of XPX is flying into a baron wasteland. Well that's all changing, take a look at some of the work that the community has done so far, and with each new version of XPX more new airports are released. X-Plane's version of a "generic" airport scenery blows away any generic airport in the other simulators. Some of this "generic" work could easily pass for pay ware, and it's actually default. Thanks to those of you out there that are contributing to the X-Plane scenery gateway. Take a look at some of the latest work in Osamah;s latest video below. UHD Mesh Scenery v1 - Japan released! New regional scenery available for the region of Juiz de Fora, State of Minas Gerais, Brazil. It used world2xplane and is based on the latest OpenStreetMap (OSM) data for Brazil. For the best results, install also the HD Mesh Scenery v3 by alpilotx as the base scenery (lower order in the scenery.ini file). To download and know more about this scenery, go to the following page: Juiz de Fora Regional Scenery One screenshot showing the downtown of Juiz de Fora and the Paraibuna river valley. Next Project - NZWN Wellington New Zealand Charlie has done some buildings and objects for this. I'll concentrate solely on doing the underlying orthos. I'll also try to keep this one XP9 friendly (using OpensceneryX stuff and no lighting/facades/buildings). I have 2 groups of images for this one: 1. General City Ortho at 2.5m This set covers everything - i.e the entire city is covered, all the way through the bay up to the Hutt valley 2. High-Res Airport-Only ortho at 0.1 meter Same resolution that NZCH was & I expect simmilar good results once TIF->PNG->DDS compressed Again, much ike NZCH, only the airport will be done in super-hi-res. (BTW, This Hi-Res Imagery cost me $50 or so just for that little airport section.. the entire city would be out of the question, $$ cost wise, hence the low-cost 2.5m for the rest of the city/valley). I expect this to be (once again) a free package. I will also post progress over the weeks. Go team! 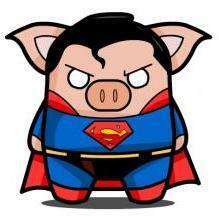 =) - CK.